Although seen more commonly in dogs than cats, snail bait poisoning does occur in cats too. Snail bait contains one of two poisons, metaldehyde, and methiocarb, both of which can be fatal to cats if ingested. These products typically contain around 3% poison and the rest contains a bait such as bran or molasses which are not only attractive to snails and slugs but also other animals. Up to 50% of pets who consume snail bait will die. Metaldehyne comes in green pellets. Methiocarb comes in blue pellets. Bait may also come in powder form, which sticks to your pet’s coat and paws and may be licked off. Lethal dose is 100-300 mg/kg) . Some snail bait manufacturers also add a bittering agent to deter pets and children, however, this will not put some pets off. If you must use snail bait, ensure your pet doesn’t have access to the treated area and don’t pile it up. Ingestion can be fatal, only a small amount of snail bait is enough to kill a cat. Increased muscle activity due to tremors causes hyperthermia (an increase in the cat’s body temperature), which can cause brain and organ damage. Take along the packaging to the veterinarian so he can check the active ingredients and tailor treatment to the particular poison. There is no antidote to metaldehyde poisoning, however, atropine can be used as an antidote to methiocarb toxicity. Treatment for both is aimed at preventing further absorption of the poison and controlling symptoms. If inducing vomiting is not possible, your veterinarian may choose to pump the stomach instead (gastric lavage). Activated charcoal to bind to the toxin, to prevent further absorption. Muscle tremors can be controlled with medications such as methocarbamol. Medications such as diazepam (Valium) or fenatyl to control seizures and muscle tremors. Cats who fail to respond to the above medications may require anesthesia. 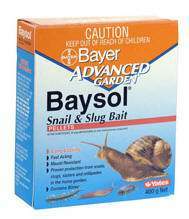 Are there any safe alternatives to snail bait? Pet owners should avoid the use of snail bait containing poisons if possible and switch to safer options.